Fight the frizz with the TIGI Bed Head Foxy Curls Contour Cream, a nourishing styling cream that defines and adds shine to curly and wavy hair. The shea butter-rich cream cocoons hair in moisture and protection, working in conjunction with the special TIGI Curl Responsive Complex to shape and support curls while providing humidity resistance. Superior styling polymers promote curl hold for soft, manageable shaping, while glycogen reinforces the hair for added strength. Smooth through towel-dried hair to define and shine. Style as usual. Sunflower Seed Extract UV and thermal protection. Jojoba Seed Oil eliminates frizz and smoothes. Pro-Vitamin B5 fortifies and moisturises. Green Tea Extract natural antioxidant. 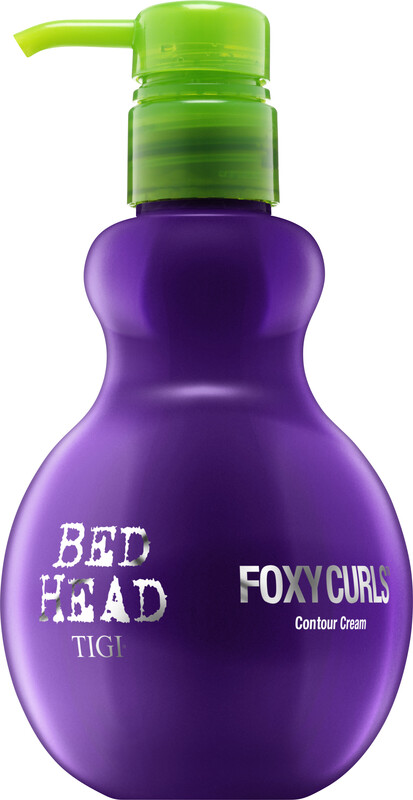 TIGI Bed Head Foxy Curls Contour Cream 200ml is rated 4.8 out of 5 by 4. Rated 5 out of 5 by lava from Perfect for fine hair This is a really great product for use on fine curly hair, or perhaps wavy hair, I wouldn't recommend it for coarse hair or for curls tighter than 3B as I feel it wouldn't work as well, my sister has coarse 3C curls and this product did not work for her, but it was perfect on my fine 3A hair. It doesn't have incredibly strong hold, it gives just enough hold to give definition and shape to curls and also works well on 2nd/3rd day hair to reactivate curls. Smells amazing and isn't sticky at all. It's not a miracle product by any means, but it does the job and it makes my curls nice and defined and curly, also does what you expect for the more affordable price. Rated 5 out of 5 by dietcokegirl from Foxy Curls Contour Cream I purchased this after reading other reviews and at first I was sceptical. Myself and my daughter both have curly hair and this product smells fantastic and made the curls more defined that I would not have to use and other products. Sadly with my daughter her hair tends to be frizzier and this product didn't really help that much so we are looking for something different for her hair.